Take a look at the classy and cozy hairstyles presented below and get ready to brighten up the upcoming cold winter days showing off various fascinating looks! One of the best ways to rock the popular braided style while staying faithful to the philosophy of less is more is sticking with a gorgeous wrap around braid. This simple yet stunning style will help you to create the perfect feminine look while adding an exciting trendy vibe to it! In fact, you can easily combine this soft feminine style with various outfits starting from comfy casual to cute cocktail dresses! The perfect way to create a classy look with a chic vibe! This magnificent hairstyle is not only very easy to be done but also can work well with any type of hair from sleek straight to bouncy curly, so don’t miss the chance to create a gorgeous look embellished with a fab side ponytail that everyone will admire. The best alternative to stick with, if you want to finally get your hair out of your face! This cute, wrap around bun works the best especially with thick, long locks as the latest create a rich look. One of the easiest and simplest ways to finish up the perfect casual look can be this fabulous bun knot. Would you ever even dare to imagine that getting ready to go can only take couple minutes? 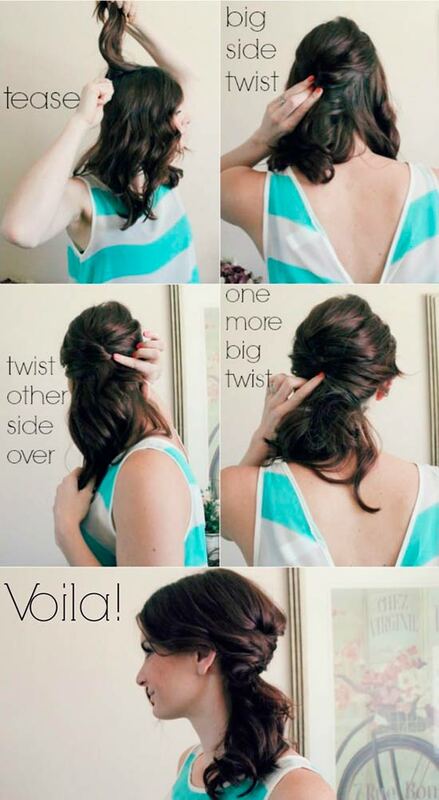 Well, try this simple yet amazing style and let the results convince you! What can be considered as the strongest side of this fab hairstyle is that from the first sight this style looks so amazing that one can hardly believe that it takes only couple minutes to be done. In fact, as braided style still remains at the top charts, there couldn’t be more right time to try to rock a braided hairstyle. 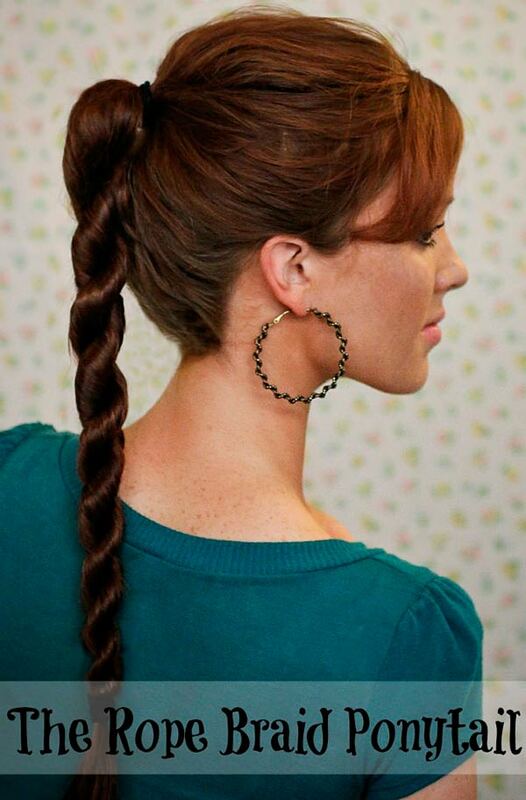 Dressed up or dressed down a rope braid ponytail will look just beautiful! Moreover you can also add a hair accessory to it and easily create the perfect night out look! This entry was posted in Hair and tagged hair tutorials, haircuts.